Last year, the same time in the chilly winter of January, at around 10 PM, Mr. Kher along with Mr. Rajesh Kumar (also our faculty at IMT Ghaziabad) knocked at our door. And as a typical IMTian, I, along with my few friends, was busy working on a competition. As we opened the door, we were surprised to see two middle-aged people at our door at such an odd hour. To our relief they introduced themselves, and an interesting relationship was discovered between us. They were our Room- Alums (we coined that term!). Around 20 years ago, Mr. Vikram Kher and Mr. Rajesh Kumar stayed in the room as I was staying. Thus, I connected with him, and when I read about this competition, I instantly messaged both my room-alums, and they gladly helped me for this interview. Q. One incident from your time in college/B-School that helped shape your professional life? When asked about a particular incident which has left a significant impact on Mr. Kher, he politely mentioned that there is no one particular incident which has left a substantial impact on him. However, he highlights a habit that he developed during his MBA days of reading case studies, challenges faced by companies in the past and auto-biographies. This habit of reading has helped him during his corporate career by enabling him to learn from the failures and mistakes of others, hence reducing the chances of committing the same ones. Q. One passion of yours that helps you become better at your mainline career? Mr. Kher starts with his belief that it’s not necessary for someone to have a passion. Owing to his conversations with the new generation and people in leadership roles, he elaborates that many people fail to understand the difference between the passion and a hobby, mistaking their hobbies as passions, which they might not be pursuing wholeheartedly. Fervently, Mr. Kher describes his visits to Kumbh Mela and Varanasi, citing that he takes solo trips just to follow his passion and captures his observation through his lens. Being alone and close to the customers, he develops his understanding of the rural and Tier-3 markets, which enables him to empathise with different customer segments in India. 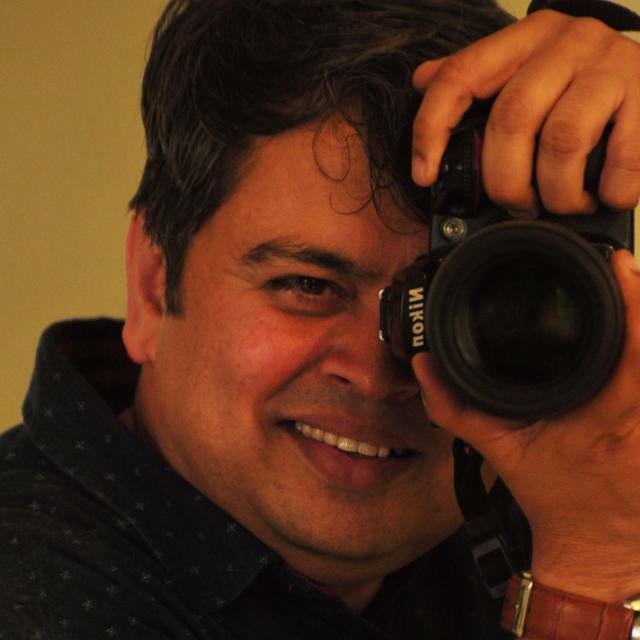 In his mainline career, Photography has been his eyes and ears and helps him being observant about the grass-root level market in India. Q. When you are looking for people in your team, apart from specific skills, what kind of attitudes and approaches do you look for in candidates? A positive attitude, the ability to think big, and at the same time being ready to get the hands dirty doing nuts and bolts are three qualities that Mr. Kher admires. He highlights that someone’s readiness and ability to still get into the nitty-gritty of things even after years of experience is something that separates them apart for him. Quoting Mr. Kher, “Life is all about accumulating different experiences, keep going and learning from those experiences.” There need not be any specific incident that should move you. Remain close to your customer! – we may have our methods to do that, but listening to the customer is critical. Be always ready to get your hands dirty! – there is nothing classier than knowing the strategy as well as the execution details. Shobhit is a PGDM (Marketing) student at IMT Ghaziabad from the batch of 2017-19, has worked with Mu Sigma for 3 years and interned at Google. Good to hear straight from the horse’s mouth. Great job! Great work, Shobhit! Keep up the good work. Life is all about learning from experiences! We students can also learn a lot experiences of leaders like you sir. Thank you for the insights. Very nicely put down Shobhit! Really interesting read! Thanks for sharing this experience. Well articulated. Really enjoyed reading it. Nice work Shobhit. Good work Shobhit! It is so intriguing – Room Alums. Something to take for each of us to have a room resident tree! A very well written article, great work Shobhit! Thanks for sharing those experiences, Loved reading it. It’s a great article to read.